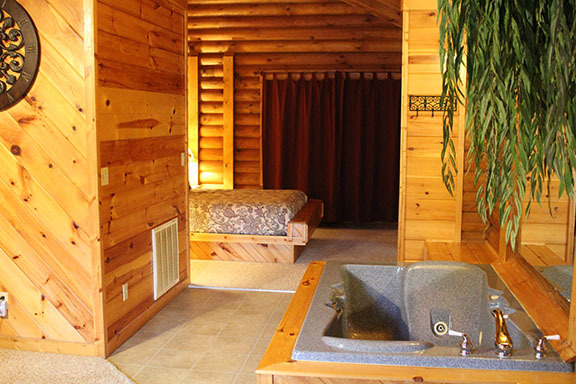 Bring your special someone to this rustic studio style cabin. This is the perfect cabin for your honeymoon or anniversary. 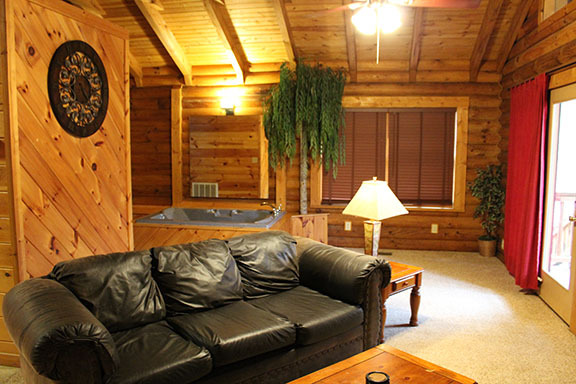 There is a Jacuzzi inside the cabin as well as a hot tub on the porch. 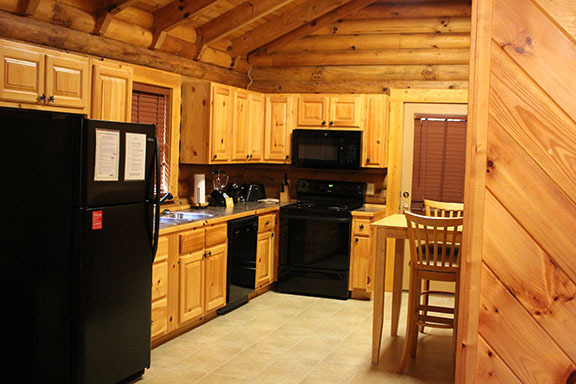 The kitchen is fully stocked with all the appliances you will need plus there is a washer and dryer in the unit. Don’t forget about all that the resort has to offer including a fishing pond, paddle boats, hiking trails and a swimming pool. Studio style with queen size bed, 1 bathroom. 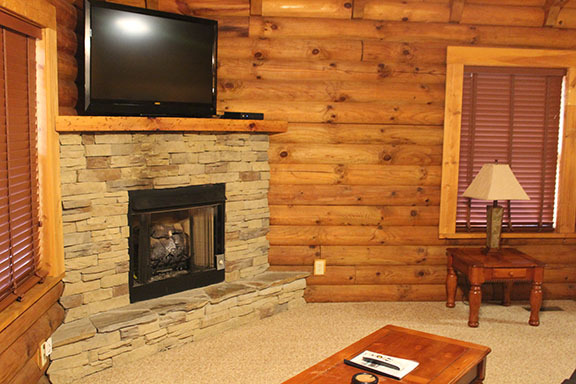 Has indoor jacuzzi with gas burning fireplace, TV with satellite service, DVD/VCR.